I miss the Microsoft Exchange Conference (MEC)! Update March 6, 2012: Well, the lobbying has succeeded and Microsoft has announced that they are bringing back MEC. You can get more information from MECisBack.com or read my take on the new MEC on WindowsITPro.com. 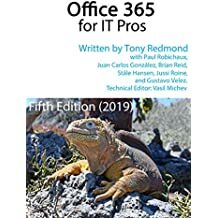 I first attended the late lamented Microsoft Exchange Conference (MEC) in Austin, TX in September 1996 and had the unique experience of being assailed by Elaine Sharp, the then product manager for Exchange 4.0, who loudly inquired “how dare I write about her product”… After a short, sharp exchange of views, we partly amicably and collaborated thereafter, including working together on my Exchange 5.0 book. Such was the magic of MEC. Of course, in those days, the sessions were all about “Migrating from MS-Mail” and similar topics. By 1998, MEC in Boston had swollen to over 4,000 attendees (http://www.microsoft.com/presspass/features/1998/9-9exchange.mspx), the sessions covered topics such as the initial “Wolfpack” clustering for Exchange 5.5, and the parties were getting more and more interesting. I don’t think some of the hotels around the World Trade Center in Boston have yet recovered from some of the parties that the development group ran. 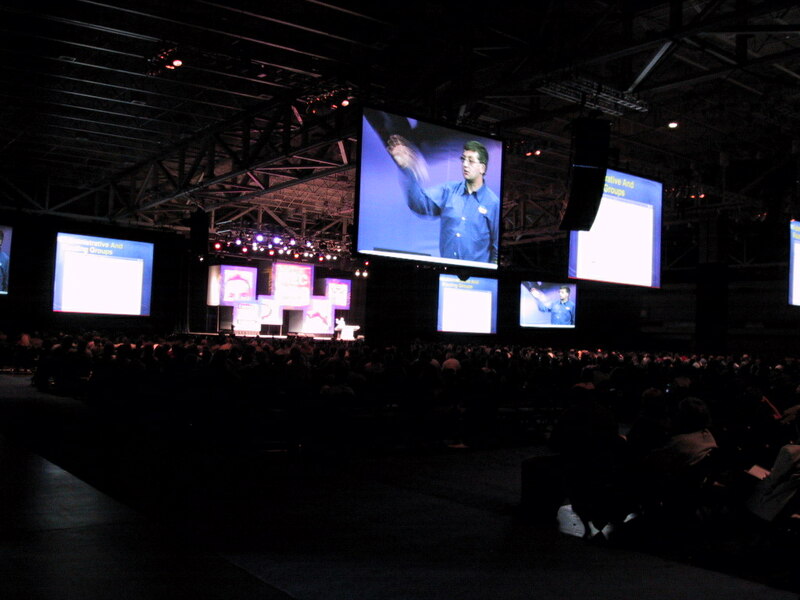 My most embarassing experience at MEC 2000 in Dallas when I was scheduled to do a keynote in the main hall in front of several thousand people. There was a lot of excitement at MEC 2000 because of the recent introduction of Windows 2000, the Active Directory, and Exchange 2000. I can’t quite recall what the subject of the keynote was, but I ended up making a comment that it was great that the Exchange System Manager (ESM) console now supported context-sensitive menus (right-click). The older ADMIN console used by the first generation of Exchange (4.0 to 5.5) didn’t go for such UI frippery. In any case, the prospect of context-sensitive menus in an administrative console obviously hit home with the crowd (thus proving the unique level of absolute geekness of the Exchange community) and resulted in generous applause. I responded with some words along the line that “I wasn’t responsible for the work, but I’d be delighted to pass on the clap to the engineers.” A horrible but short pause ensued followed by a wave of laughter as the audience realized what I had said. Of course, my face was rapidly changing from red to deeper red as the meaning of my words sank home. The last US-based MEC was held in Anaheim, CA in October 2002. It is worth noting that MEC ran successfully in other countries, mostly notably in EMEA where its normal location was the Acropolis in Nice, France. Why did Microsoft drop MEC? There are many stories and the official line is that management wanted to run a single annual technology conference, which was TechEd. It might be that MEC was getting too big and that there was too much duplicated content presented at MEC and TechEd. The cut and paste disease was very obvious. Other conferences have attempted to step in to take the place of MEC, notably the Microsoft Exchange Connections conference and The Experts Conference (TEC). The Connections conference started from a small base but now attracts a reasonable audience at its events. A good collection of Exchange MVPs hang out at the Connections event and come together to deliver sessions that are interesting and worthwhile. I have been to a couple of TEC events and have experienced good things at the conferences, especially if you are interested in Active Directory. Directory integration and synchronization are the foundation of TEC in the past but the organizers have broadened the conference to offer more value in terms of Exchange and SharePoint recently. Good as these conferences are, they aren’t MEC. They aren’t MEC because Microsoft doesn’t provide the same level of support to the conference in terms of the program managers and engineers who used to swarm around MEC and made the conference a unique melting point for Microsoft, its customers, and the huge number of third party companies that comprise the ecosystem that surrounds and supports Exchange. A huge amount of valuable interaction between different parties at MEC and the sessions were invariably at the 300- level or above, so the information that was gained there was unsurpassed – certainly there was a low number of marketing sessions on the MEC agenda, so the information was useful, pertinent, and clear. I’d love to see MEC make a reappearance. TechEd is too big and bland and attempts to cover too much technology in too little time. Exchange is big enough and the complete end-to-end ecosystem, including SharePoint, is interesting enough from a technical perspective to warrant a full week’s conference, providing that the right mix of speakers was created from Microsoft engineers, industry experts, third party software developers, and customers. This entry was posted in Exchange and tagged MEC, MECisBack, Microsoft Exchange Conference. Bookmark the permalink. 19 Responses to I miss the Microsoft Exchange Conference (MEC)! Oddly enough, I was thinking about MEC earlier this morning – and everything you mentioned above meshes with my thinking. We had much more of a community then, and I miss it. MEC really was the best conference EVAH! Tony, if I remember right, what you said after your faux pas was just as funny. Something about the people listening to the tape in the car driving off the road. As the person who MADE the MP3 (there, I admitted it, although I’m sure one of your cronies ratted me out years ago) I am confident that I still have it, but I was unable to find it last time I tried. So you may be safe for now! As for MEC, although I no longer work on exchange, I am more or less now in the camp that Exchange is so much and so plugged in to so many other things that a MEC turns into an “everything Microsoft related to enterprise except for SQL”, which is what the last MEC was, and I do think they should bring that back, as well as starting to educate people on how to migrate that stuff to the cloud. Dave, good to hear from you again. I think there’s lots to talk about in a conference that is themed around Exchange and doesn’t fall into the trap of being all things to all men… The conference that I have in mind would have to be different to the marketing-centric “everything is wonderful chez Microsoft” that TechEd has become… else it would just be another opportunity to recycle PowerPoint decks (badly), which is what happened when program managers go to TechEd EMEA and other locations and have to give six presentations about topics that they know little or nothing about. I am in full agreement. There is nothing like MEC. It’s funny that you mention the show in 2000. I also presented there and had one of my most embarassing moments. I was giving a speech on mobile devices but the machine that was supposed to show my tiny mobile devices didnt work! The speech turned out ok in the end but I will never forget the moment. Is there anything we can do to help bring MEC back? Well, technically the conference in Austin in ’96 was the Exchange Deployment Conference. The first MEC was in ’97 in San Diego. a resurgence of MEC would be fantastic. As you say the other shows have become too watered down and a waste of time IMHO vs with MEC everyone was there because of Exchange. Having that level of focused knowledge and collaboration is what made MEC so great. I believe it would be a huge success if they brought it back.